Without speaking too much grammar, DC is an abbreviation for Deep Conditioning. Over time, doing the DC regularly changes the texture of your hair, makes it softer and more manageable. The most encouraging part of this is that it is very easy. For me, DCing with natural products is the way to go for naturalistas and you can almost predict the results of doing this regularly with natural products. So how do you do a DC on your natural hair? The simplest form of doing DC is by mixing water and olive oil in a spray bottle and spraying it on your hair, before covering it with a satin scarf or bonnet. Some other methods is mixing rosemary or coconut oil with water. It just depends on the one you are most comfortable with. Though, I must mention that coconut oil and olive oil are the two oils that have been known to penetrate the hair easiest. When doing the DC, please, make sure you try to reach every area of your hair. In about three minutes, you are done. The change is faster if you do this every morning and night. There are so many methods of doing this. 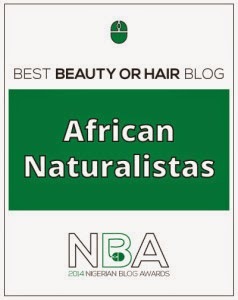 You can get our African Naturalistas Deep Conditioning Mayonnaise here. You can also mix olive oil, mayonnaise, shea butter, coconut oil, honey and tea tree oil. Some others mix avocado, egg, vinegar and other essential oils. You just have to find what works for you, but the important ingredient is the olive oil, honey and any form of protein. After mixing your DC ingredient, apply it all over your hair and cover with a plastic bag before and then a satin bonnet or scarf. You can sit under a dryer for about for about thirty minutes to one hour or just leave it on for about one hour, some regions are warmer than the others. To get better results, you can keep it on over night or for the whole day. I used to keep it on for one hour before but I liked what I saw when left it on overnight. Some others leave it on all day and just tie a turban when going out. My advice is that this form of DC should be done whenever you want to wash your hair. i have been using coconut and honey and i love how my hair and princess hair turn out. Will try with olive oil as well. I have been using Avocado and honey. 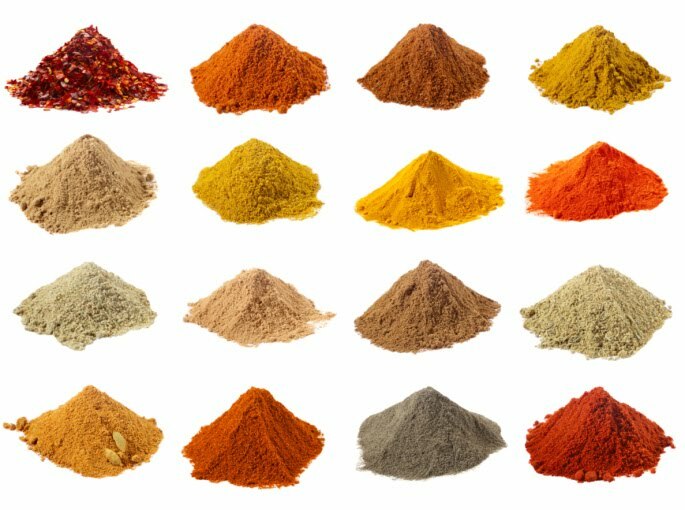 I am looking for a mixture to help with breakag, any suggestions? @ 9jaFOODie: Hmmm! You need a combination of more protein and moisture. The main thing you should know is that the more the protein, the less the breakage. 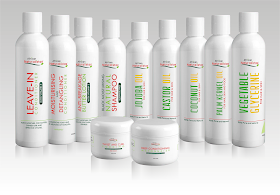 Protein toughens your strands and reduces breakage. Please, moisturise, moisturise and moisturise. Do it daily and try to avoid tight hairstyles. I've never tried olive oil but coconut oil has worked well for months! Unfortunately, i still get those flakes sometimes. If you stay in Abuja, I always get mine in H Medix store at Wuse 2. @ PET Projects: Aaaahhh, I prefer olive oil to coconut oil any day, largely due to price sha. Lol. What flakes are you talking about? @ screwyhair: Really, lol. I am not a ;mixologist o, lol. I have been to your blog and tried your formula on the shea mix, but I made a mistake and messed it up. lol. I got some more questions for you, haha. tea tree oil in gbagada.... what supermarket? just found your blog! i am very new to the natural world so please excuse the ignorance in my question. so after you do the DC as described. do you wash it out then shampoo? won't the shampoo be stripping all the goodness you just added to it? Hmm. There's nothing like an ignorant question o. I normally do the DC before washing my hair. The shampoo you use matters a lot. As long as you don't use shampoos that strip the moisture off your hair, I believe you should be fine. can i just wash my DC without shampoo.. using just water? I need serious help with my hair.....it's been years of breakage. Aww, sorry about that. Are you natural or relaxed now? Am new to this. Do you rinse out the daily DC or it's a leave on conditioner? Its deep condition, not leave-in. The second method needs to be washed out. The daily one is just you spraying your hair like a hairspray. for my DC i mix one egg with third cup olive oil and 2T honey , but i would like to try yours , please tell me how much of the olive oil, mayonnaise, shea butter, coconut oil, honey and tea tree oil you mix - what quantities?? Funny enough, for this particular recipe, I don't measure them. I have the size of everything somewhere in my head. And as my hair gets longer, the stuff increases. What about cholesterol. will that do? I have never used cholesterol on my hair, but when I hear cholesterol, my mind immediately goes to protein. Hello, I just read how you deep condition your hair with mayonnaise, honey, olive oil, shea butter and leave-in-conditioner. Please can tell me in what quantity did you use from each product? As at this time, I wasn't measuring. I'm in love with my hair buy it keeps getting so dry....please what's the fastest remedy for a highly soft hair? I hope this gets seen cos I'm just on the verge of applying relaxer on my daughter's virgin hair!! I need help desperately. her sister has the naturally soft nice curly afro, while hers was previously damaged from retouching gone wrong, got the big chop but I do not have that really nice big afro I had pre relaxer. The hair is very "unsoft" as.we musnt say "tough" LOL. I actually have my fingers cut when I make conrows for her. Plus her scalp is toooo sensitive her hair keeps pulling out with her braids especially her edges. What do I do please?! The whole essence of having the natural hair is seriously defeated cos I can't even leave her natural hair out even for an.hour as it doesn't look nice atall because of those littleunbrushable balls around her edges. I am really sorry about your ordeal. You sound very frustrated. But please, don't give up. 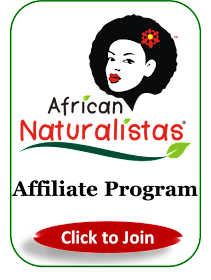 Please, check this post by Discovering Naturals out. It might be able to help you. 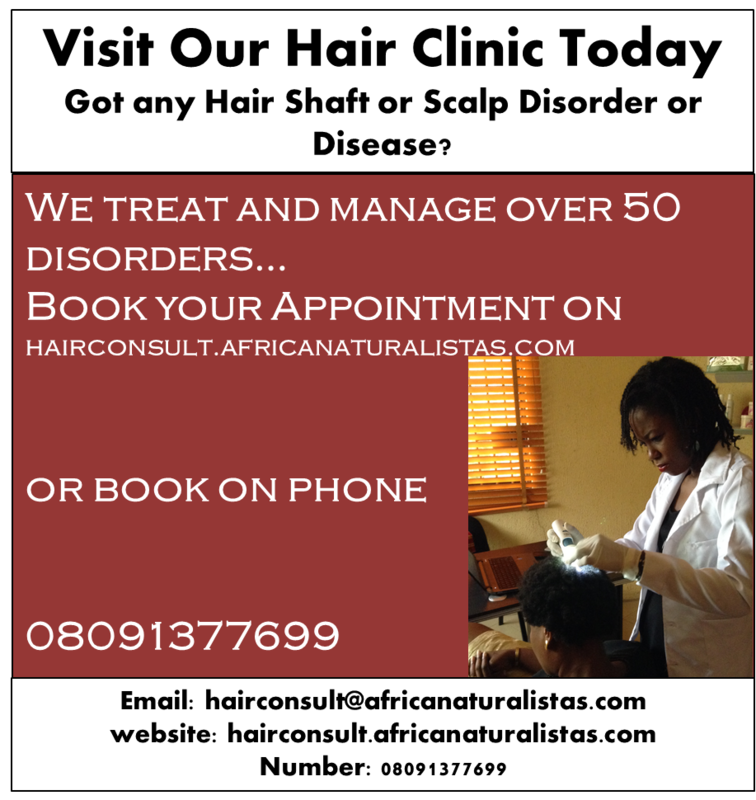 Please, drop a comment, no matter your hair type, we want to learn from you. 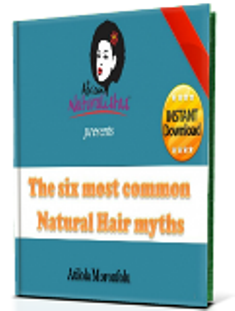 The six most common Natural Hair myths. Why did you go Natural?